For December, I've done my shopping much earlier and I admit some of these items arrived at late November but I couldn't take picture of them so I can't include them in my last haul. This month's haul is probably an aftermath of my previous hauls. You'll get what I mean when you read the rest of this post for sure. 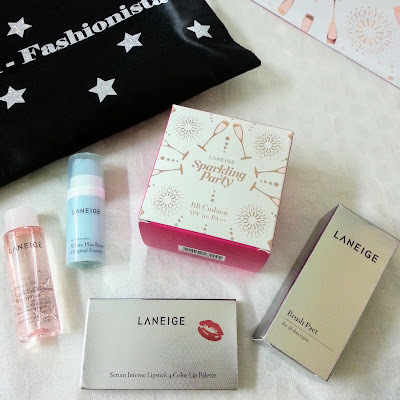 So without further ado, I'll start with Laneige Malaysia. There's no more suitable time to get a product that can help with my tired skin especially after the past few weeks of craziness plus I'm using makeup like everyday now so after deep consideration, I got myself the products from Brightening Sparkling Water line that I've been wanting to try since its launching in Malaysia. I got that Pop Essence, Peeling Mask, and Whipping Foam. Also comes with the set are White Plus Renew Skin Refiner and Emulsion (15ml) kit-sized and Multiberry Yogurt Peeling Gel (10ml). Yes, this is indeed the Sparkling Water Essentials set and retailed at RM150 with the Whipping Foam retailed at RM85 separately. I wanted to grab the Capsule Mist but apparently it has sold out at my regular counters. If you're following my Instagram, you probably already know that I got that Glitzy BB Cushion Whitening Set. But of course, as the set only comes with BB Cushion (Whitening) No. 21 Natural Beige, I was lucky as my roommate wanted a BB Cushion for herself so I just swapped with her to get No. 23 Sand Beige. Included with the set are Brush Pact No. 1 Natural Finishing, Lip Palette - 4 x 0.5g Serum Intense Lipstick, Lip & Eye Remover 25ml, and White Plus Renew Original Essence deluxe sample of 10ml. 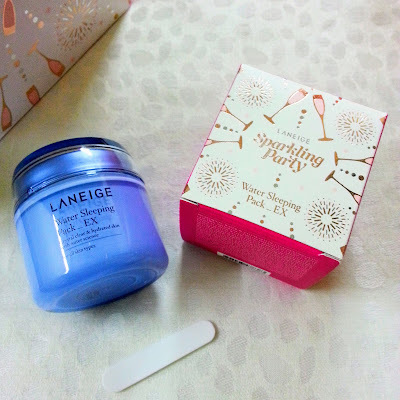 As I finished my deluxe samples for this, I decided to get that Sparkling Party Water Sleeping Pack Limited Edition. The tub is the same as the regular version though. Needless to say, this is a HG product especially among Laneige fans and this definitely can help me in stretching my skincare usage period i.e. I usually use one set of skincare within 3 months but with additional routine of sleeping pack like my HG Firming Sleeping Pack, White Plus Renew Capsule Sleeping Pack and now this one, I can stretch my skincare items to about 5 months. You guys know that Laneige products ain't cheap! Anyway, let's move on to Etude House Malaysia! 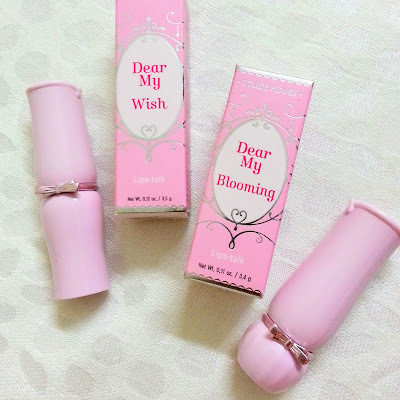 This time I got two lipsticks from the brand, Dear My Wish Lips Talk in BE101 Chic Hollywood and Dear My Blooming Shine in PK020 훈훈한 핑크. Both of these lipsticks were released like few months ao and I think Krystal f (x) used the Dear My Wish lipstick line for her recent drama. I got really crazy with eyeshadows the past few months so when I saw the Look At My Eyes Duet in PK001 Pink Soul and PP501 Purple Rock 'N Roll, I have to get it as I love how these two have slightly deep undertone that goes with my medium skin tone. I also got some single eyeshadows, Look At My Eyes Jewel in PP505, Look At My Eyes in PP504, Look at My Eyes Cafe in BR404 Choc Latte along with an eye primer, Look At My Eyes Pearl Base. I bet all Etoinettes already know this but when it comes to Etude House single eyeshadows, Look at My Eyes Jewel is the most expensive, retailed at RM35.90 (5,500KRW) and all eyeshadows in this line are shimmery. 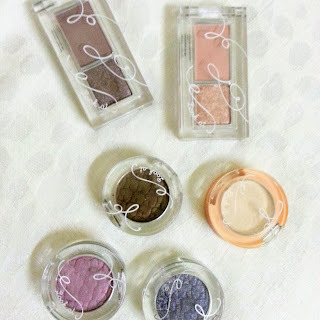 As for Look at My Eyes, retailed at RM19.90 (3,500KRW), the eyeshadows are usually semi-matte with shimmer and as for Look at My Eyes Cafe, retailed at RM19.90, the eyeshadows are matte. 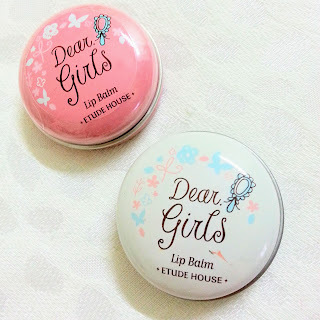 I also got Dear Girls Lip Balm in No. 3 (pink). I love the sister product No. 1 (white) so much so yeah hopefully No. 3 is as good as No. 1. Needless to say, with the recent eyeshadows purchases, I have to get removers. Though the above products are actually Mascara Remover, so far I can also use it to remove any eye makeups I have, from waterproof mascaras to waterproof eyeliners. Along with a slight makeup addiction, I decided to expand my brush collection. I only have a foundation and powder brush from TheFaceShop before so I added another two brushes from the same Daily Beauty Tools line, Mascara Brush and Eyeshadow & Blending Brush. 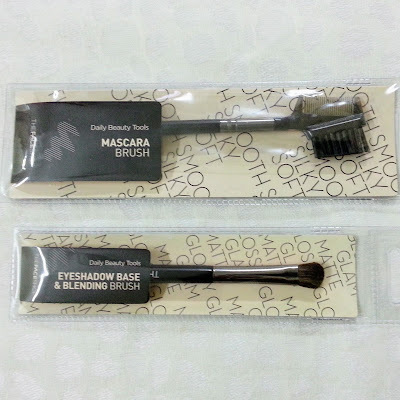 I got these two during sale so both of these brushes are below RM30. Like I mentioned above, I also saw lots of Beauty YouTubers use BeautyBlender and dupes. 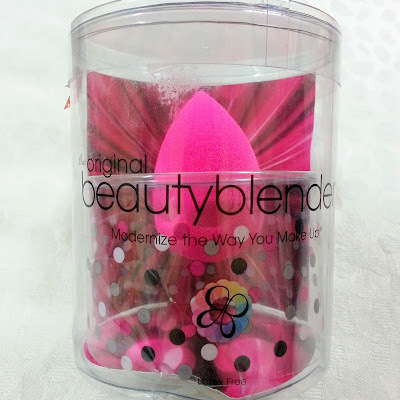 So I got myself my first BeautyBlender! Got it from Luxola at only RM42 (got 40% discount)! Though I got it after like 2 weeks but yeah, it was Cyber Monday sale. My first Luxola purchase arrived within 3 days only. So that's all for my December Haul. Let me know what do you think! Oh, as this is the last post before New Year, I want to wish you awesome people out there Happy New Year 2015 and hopefully 2015 will be better and more awesome than this year - well, for me at least.